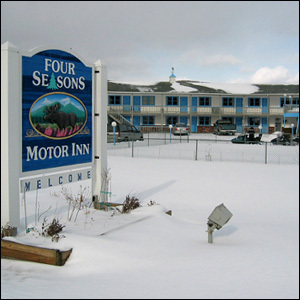 At the Four Seasons Motor Inn, we pride ourselves on making sure that all of our guests have an enjoyable, relaxing, and memorable stay with us. But don't take it from us... see what our guests have had to say about us! "The best place we have stayed during our trip; we will DEFINITELY recommend it." "Very accomodating in regards to availability of restaurants around town and sightseeing. One of the nicest places we've stayed yet." "They made me feel at home!" "I was very impressed how clean and neat the room was. The table and chairs were a nice addition to the accomodations." "This is a terrific motel and we plan to return. THANK YOU." 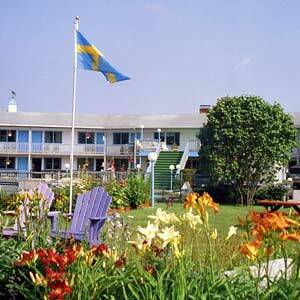 "A friendly atmosphere that makes for a pleasant stay. They made us feel very comfortable." "It was nice that they provided us with menus and directions to nearby restaurants and had a lot of information about area attractions. It made planning our days much easier." "The extra touches made for a very pleasant stay." "The first time we visited the area we stayed at the Four Seasons. We were so pleased with the rooms and the service that we have recommended it to our friends. They've all come back and said how much they enjoyed their stay." "Great rooms, very clean. Excellent service and a good place to bring the kids." "My family and I feel like we have a home away from home every time we stay at the "Four Seasons", buy the way leave your slippers home! you will not need them these rooms are that clean!! Looking forward to our next trip!" We value what our customers have to say and love to get feedback from our guests. 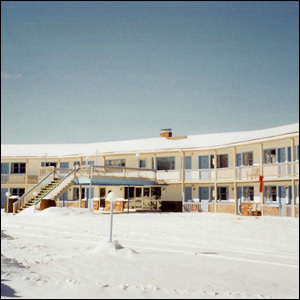 If you have visited the Four Seasons Motor Inn we'd love for you to share your experience with us. Please email us your comments.